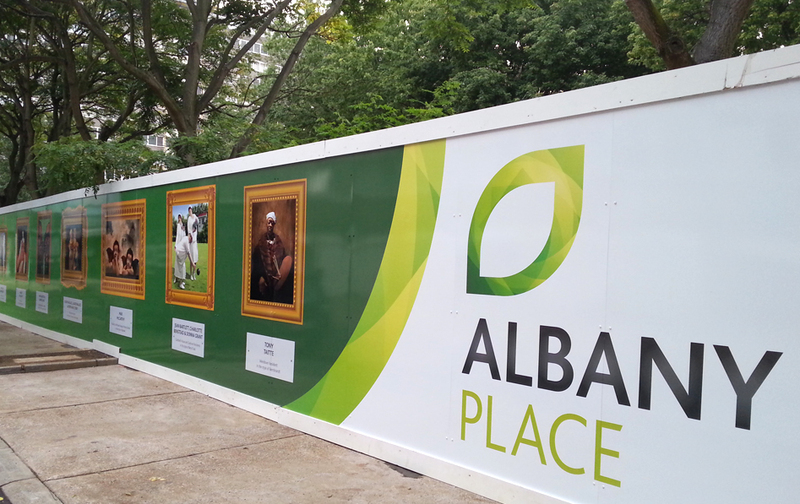 The high profile regeneration of South East London’s Aylesbury Estate has drawn local and national attention, most recently on site, with new hoardings going up, showcasing some of the local residents in the style of famous portraits. The images, inspired by the likes of Picasso, Rembrandt, Renoir, Beryl Cook and Andy Warhol, have been erected around the perimeter of the notorious estate to mask the demolition process. Developed by Creation Trust, we worked with the regeneration team and L&Q to deliver the hoardings as part of the wider marketing strategy. This is just the start of a development process set to transform the Aylesbury Estate over the next 20 years. Our challenge is to project this exciting future now – for returning residents and new purchasers. Everything we are doing with the team, from the hoardings to the CGIs to the marketing tools and sales suite has this message at its heart – we are working to change perceptions and lives and ultimately a whole neighbourhood.